Pictured: Chris O'Donnell (Special Agent G. Callen), LL COOL J (Special Agent Sam Hanna) and Julie Chen (U.S. Ambassador Nancy Kelly). After U.S. Ambassador Nancy Kelly narrowly escapes a terrorist attack at the U.S. Consulate in Tunisia, Callen and Sam are sent on a secret, dangerous mission to obtain key evidence from the crime scene. 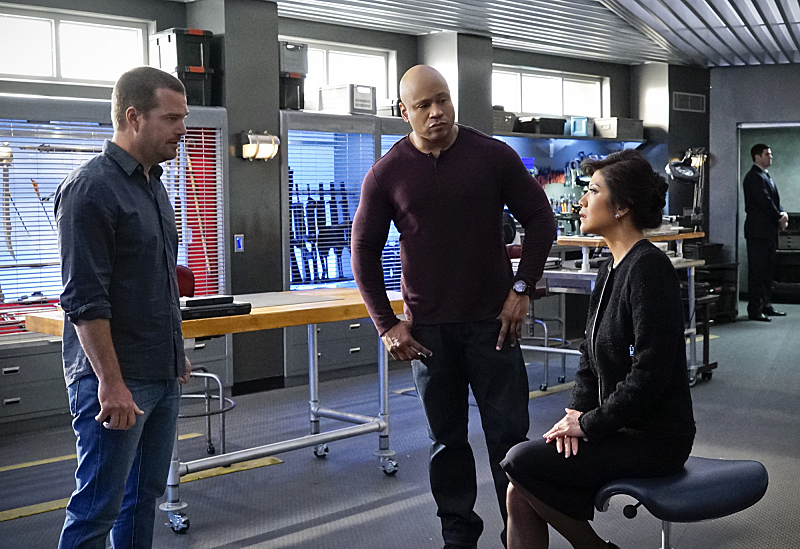 Upon their return, the team seeks Kelly's help to provide missing information, on NCIS: LOS ANGELES, Monday, Jan. 19 (10:00-11:00 PM, ET/PT) on the CBS Television Network. Julie Chen, Host of "The Talk," guest stars as U.S. Ambassador Nancy Kelly. Photo: Robert Voets/CBS ©2014 CBS Broadcasting, Inc. All Rights Reserved.